Instead of using the Interstate, take the road less traveled and rediscover the Yellowstone Trail, a historic auto route that stretches across Wisconsin. Established in 1912, the 3,600 mile route stretched across the northern United States and served as the first transcontinental highway in the northern states. It reached Wisconsin in 1915 and meandered 409 miles through eighteen counties. Initially, the Trail was created out of a growing need for reliable roads. In the days before highways and interstate, early automobile owners had no long-distance roads to drive their cars on. To remedy the problem, a grassroots movement grew with the goal of improving the muddy road conditions, and county governments were persuaded to link roads from county to county. Piece by piece, the Yellowstone Trail was born, bringing tourists to the West and onto Yellowstone National Park. Today the trail can be traced through Central Wisconsin’s urban and rural landscapes as it runs through Spencer, Marshfield (1920s travelers were granted free camping at the fairgrounds! ), Auburndale and Stevens Point. It continues to trail down the west shore of Lake Winnebago before running through Milwaukee and into Illinois. After a century of road construction, some creative sleuthing is sometimes needed to discover the original route. 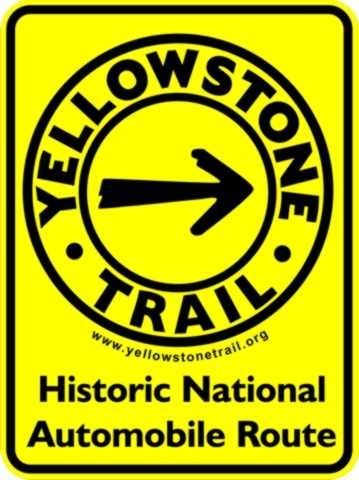 The Yellowstone Trail can be followed via Google Maps. Remnants of the historic places that travelers stayed and visited can be found along the route (online guide available here). Discover old lodgings, tour museums, and enjoy the view while following the tire treads of explorers past.